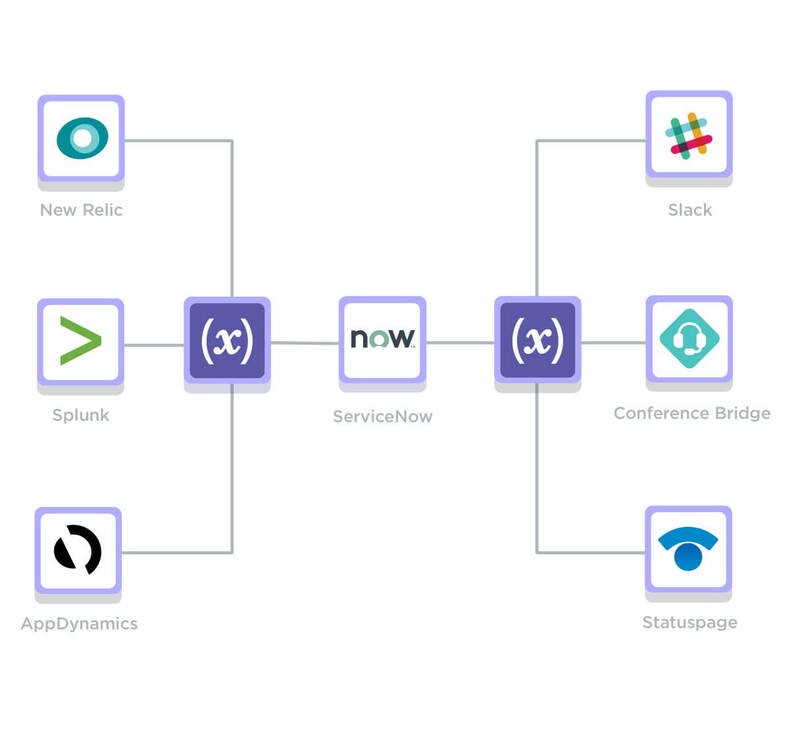 Ready to see what ServiceNow + xMatters can do? As communication events occur, xMatters logs and documents them in ServiceNow in real time, saving valuable technician resources. 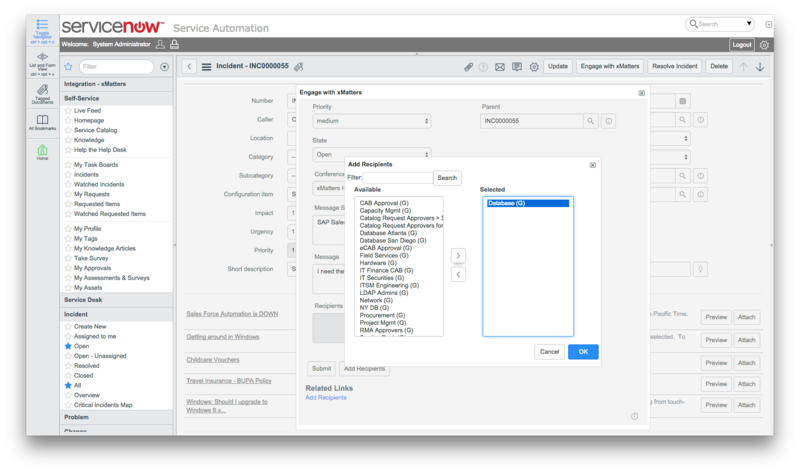 In addition, the integration synchronizes groups and users from ServiceNow into xMatters. Attach chat transcripts and incident timelines to your ServiceNow ticket for full transparency and easy reporting when resolved. Triggered communications contain the information your on-call resources need to quickly assess and take action on incidents. 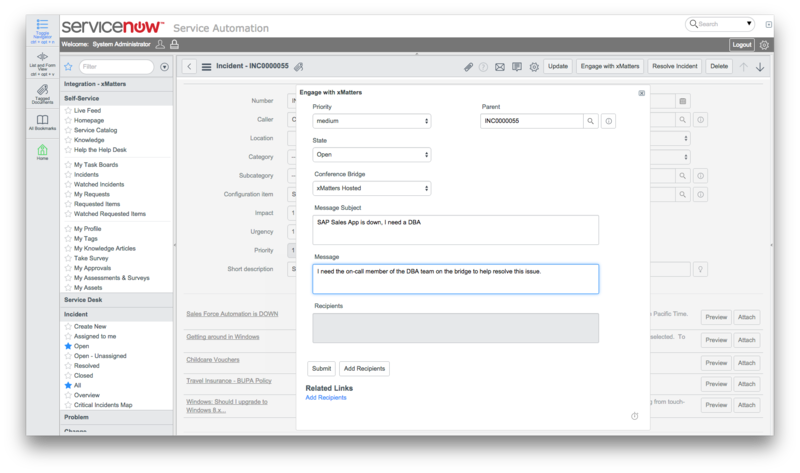 Manually or automatically escalate to on-call members and groups without reassigning incident tickets based on customizable rules. 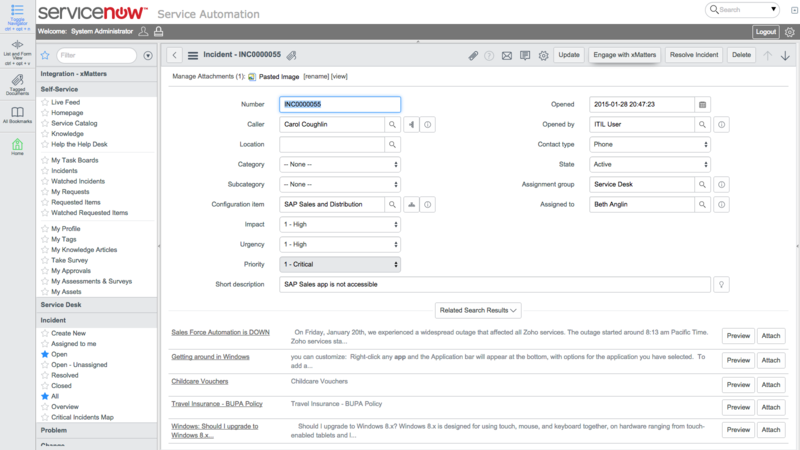 Ready to start using ServiceNow + xMatters? Want to learn more? 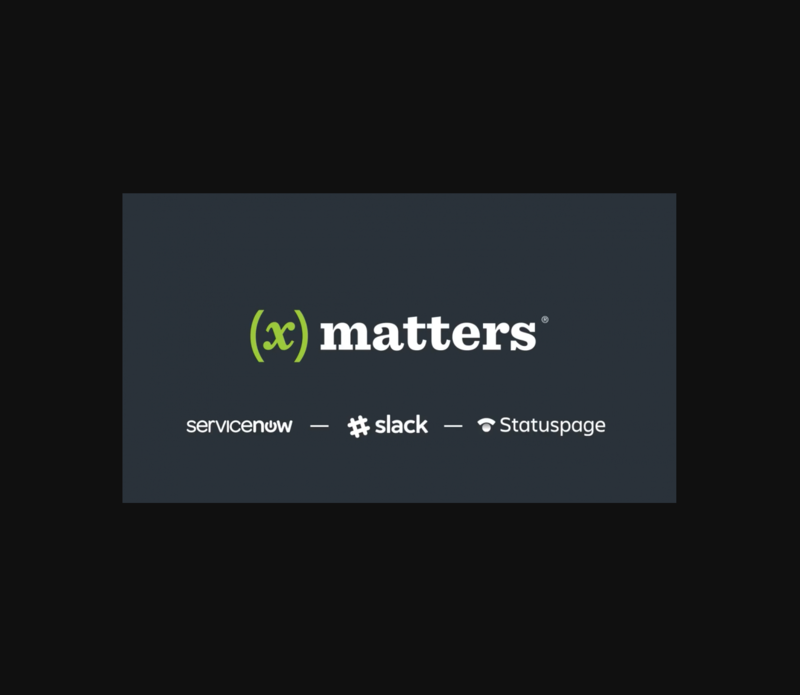 We've curated our favorite ServiceNow + xMatters resources just for you.